She’s a viral sensation and an animal ambassador. Fiona and keeper Wendy Rice. Photo illustration by Slate. Photo by the Cincinnati Zoo and Botanical Garden. When Fiona the hippo was born six weeks premature at the Cincinnati Zoo and Botanical Garden, few thought she would live for long. Nevertheless, a team of caretakers worked around the clock to save her, an effort that ultimately proved successful. Because the zoo documented that process on social media, Fiona quickly became an unlikely celebrity. 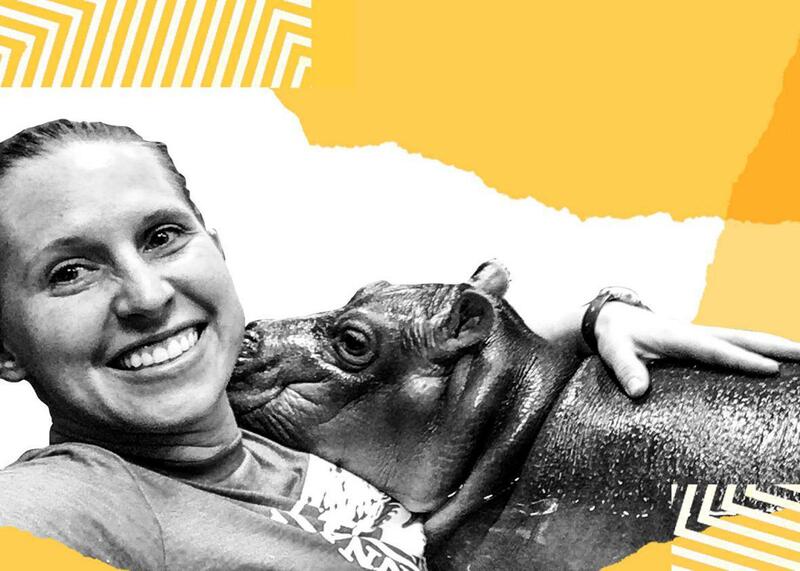 Today, she serves as a sort of digital ambassador for the zoo itself—and for hippokind more generally. Hoping to understand how Fiona balances her ordinary animal existence with viral fame, we spoke to zookeeper Wendy Rice. Over the course of our conversation, we covered everything from Fiona’s daily schedule to her diet. Rice also laid out some of the training activities that she and other keepers engage in with Fiona and explained why Fiona seems to take such pleasure in showing off for the crowds who come to see her. Then in a Slate Plus extra, Rice goes into one of the less appealing parts of her own job: cleaning up after Fiona’s … waste. There is, it turns out, a lot of it. If you’re a member, enjoy bonus segments from Working, plus other great podcast exclusives. Start your two-week free trial at Slate.com/workingplus.